Ever wished you can be your own graphic artist? 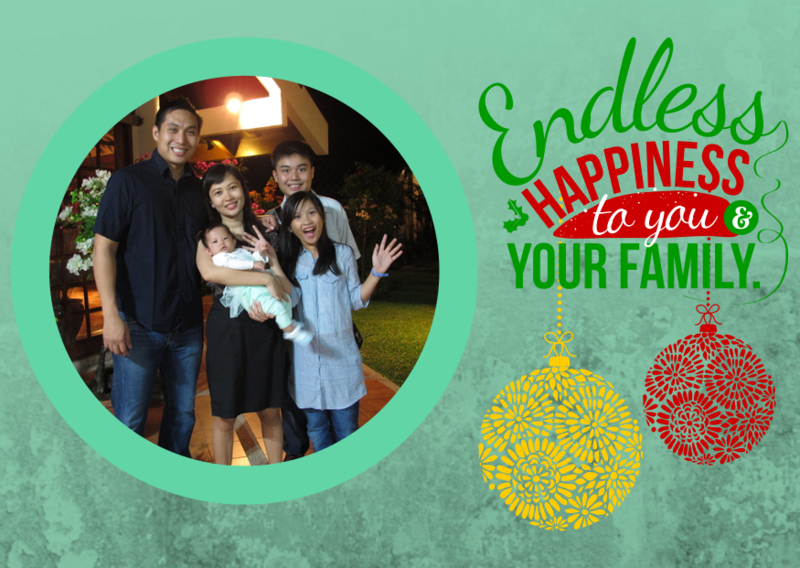 Design your own personalized Christmas cards this year with Canva! Tina from Truly Rich Mom sent us mommy bloggers a link to Canva, an online design platform. You can easily create your own designs for cards, documents, Facebook covers, presentations, blog graphics and more! I went over to their site and I was very pleased with their interface. It is super easy! Just search for images, click, drag and drop. Put everything together and voila! You have a great looking graphic instantly! Here's a sample of a Christmas card for our family. There are so many designs to choose from. I had fun browsing through all of them! This December, Canva will be donating $50 to a charity supporting Typhoon Yolanda for this post. They are also giving away $10 credit for my readers here. What are you waiting for? Hop on over to Canva! Easy drag and drop user interface with plenty designs to choose from! Create your own Christmas card in minutes. Save your designs. It doesn't stop at cards. Create graphics for Facebook covers, blogs and more!